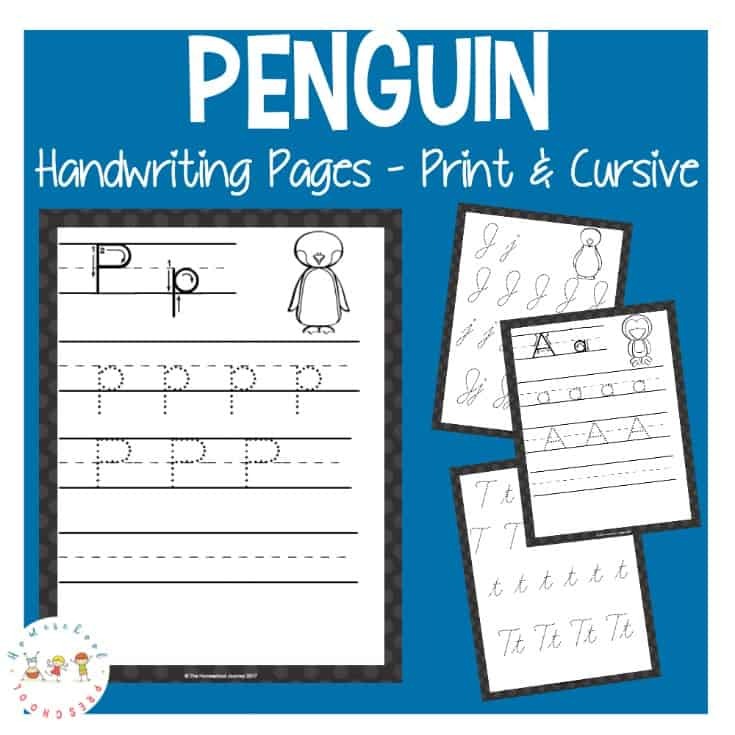 Celebrate World Penguin Day with some printable ABC handwriting practice pages. Available in both cursive and print for all ages! 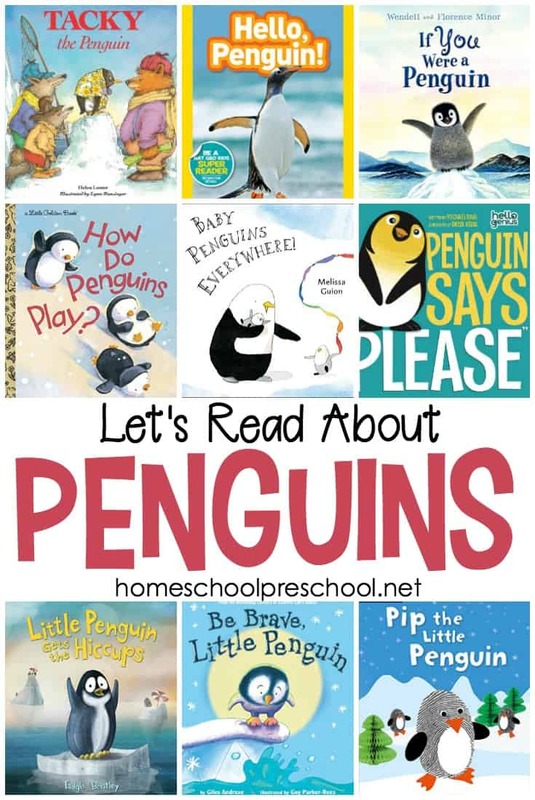 These free preschool printables are perfect for winter, of course, but they also work well if you’re celebrating World Penguin Day on April 25. You can print the entire set or just the letter you’re focusing on that day. 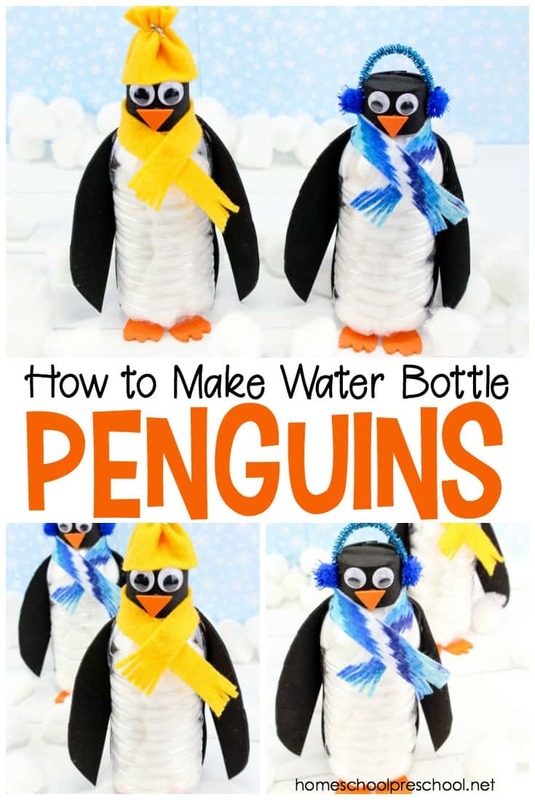 You could also just print the “Pp” page since P is for Penguin. This pack contains a set of manuscript handwriting pages as well as a set of cursive handwriting pages. These pages are the perfect addition to your homeschool writing resources! 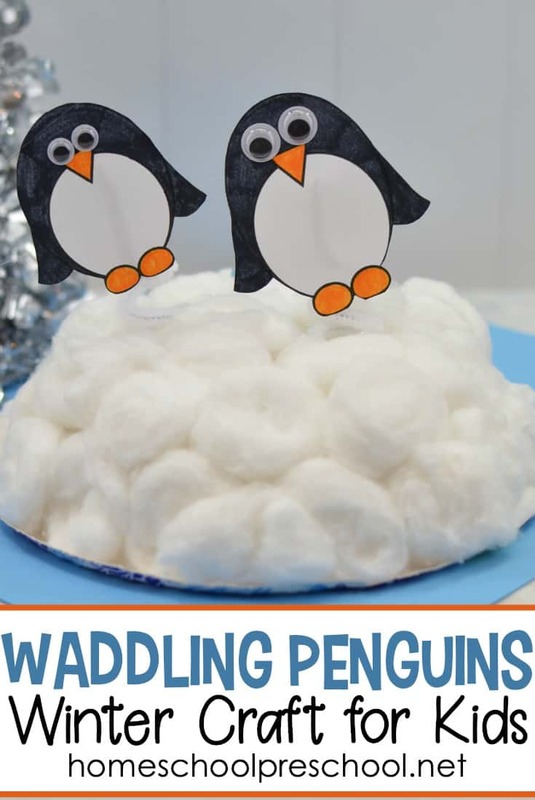 Preschoolers who are just learning to write will love learning with these penguin writing pages. Kids in K-2 will love practicing their handwriting with these pages, as well. 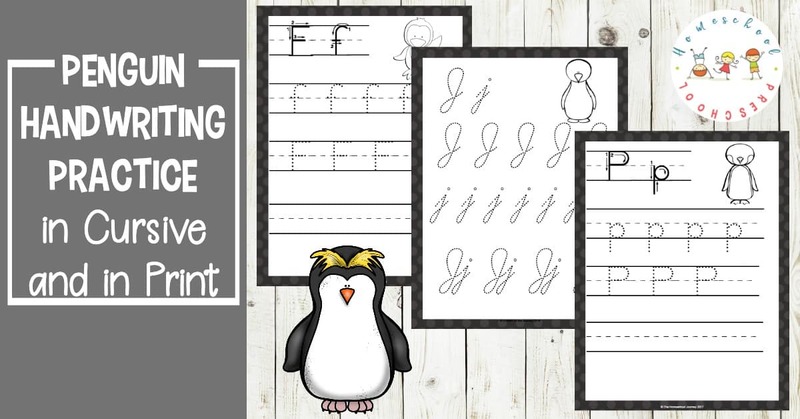 If your kiddos are learning to write in cursive, you’ll want to print out the cursive letter writing pages. They’re perfect for learning proper letter formation and for practicing good penmanship. Do you have a little one who is learning to write their letters? 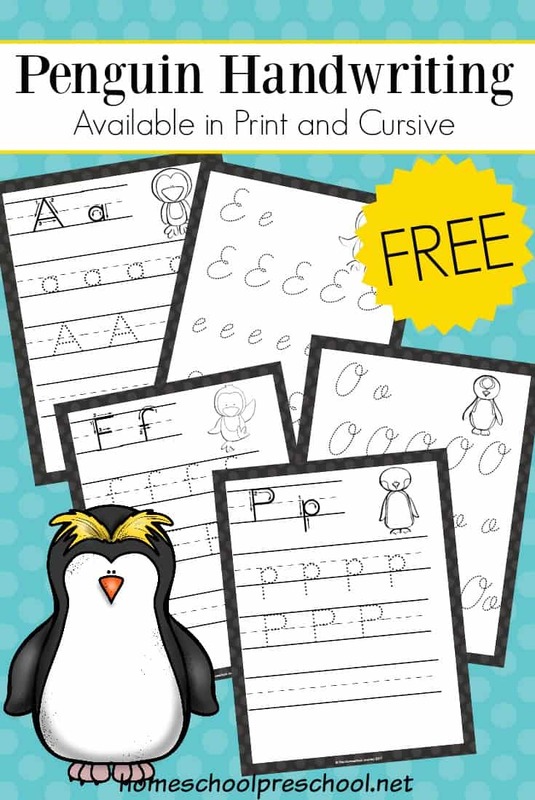 These printable alphabet writing cards are great for on-the-go handwriting practice! • Print out the appropriate handwriting pack, and laminate the pages. Then, have your child use a dry erase or wet erase marker to practice their handwriting. Once your child is proficient, print out a new set of pages, and have them transition to writing in pencil. • Choose the appropriate pack for your child, and bind the pages into a handwriting workbook. Have them do one page each day, or let them work at their own pace. • If there is a particular letter (or letters) your child is struggling with, print out multiple copies of that page (if you choose not to laminate). This allows your child to continue working on trouble letters. This printable ABC handwriting practice pack is only available to my readers. Click the button below, enter your information, and download your printables.